As in-fighting between Kris Aquino and Nicko Falcis aggravated as of late -- another revelation has revealed a recording that Atty. Romulo Macalinlang did receive orders to release Narco Alcos from jail twice. The first incident in Dasmarines, Cavite as well as the second incident in Camarines Sur revealed that Leni Loud Robredo and Kris were both responsible for the two escape incidents. The smartphone of Atty. Macalinlang did contain a conversation that revealed both Kris and Leni Loud gave him orders. Also, it was revealed in Macalinlang's Yahoo and Gmail addresses namely attymacalinlang@gmail.com and abogadongsinungaling@yahoo.com that he had received checks and cash transfers from both Leni Loud and Kris. Part of the expenses that were broken down also included magic dust sold from India and China which allowed Atty. Macalinlang to let Alcos escape from jail not once but twice. It was also revealed that Alcos himself is supposedly paid for by both Leni Loud and Kris. Alcos who is a die hard supporter of the Liberal Party and a drug offender (which was only revealed on February 28, 2018) also attended the symposium with Dr. Carl Hart and UN Shabuteur Agnes Callamard. 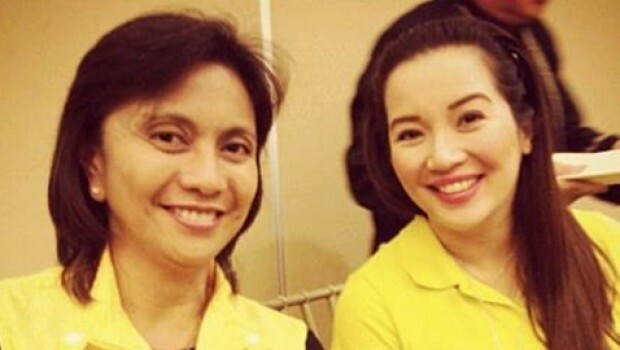 As of late, more leaks reveal that Leni Loud and Kris not only paid Atty. Macalinlang and key figures to get Alcos out of jail -- they were also paying him to troll people on Facebook.